On a Journey to Love Myself and (the food in) the World Around Me. This recipe is so simple, it’s almost not even a recipe. But, you see, it is a recipe. Or, perhaps, a recipe enhancer. Vegan parmesan can be bought at the store – for a lot of money, and little flavor. 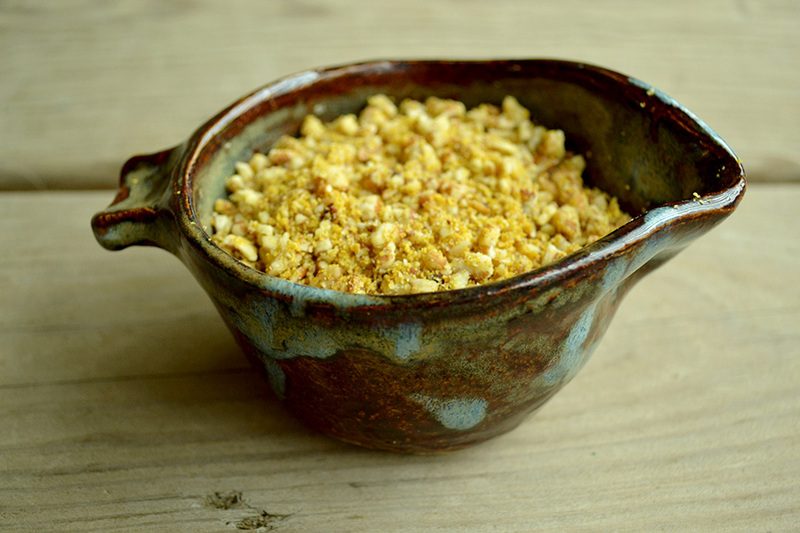 I’ve toyed with a way to make it from nuts and nutritional yeast for a while – but it was just missing…something. Enter – miso. Mellow miso, to be exact. I have fallen in love with miso, and it’s soft salty flavor this spring. 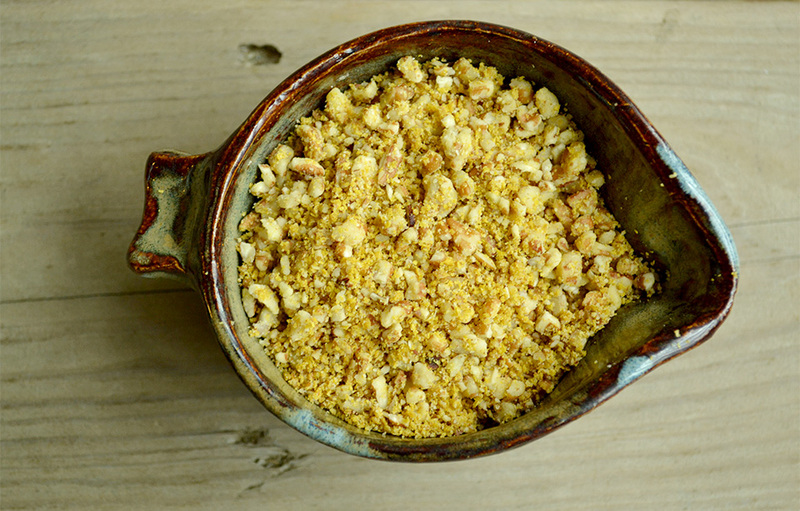 And it’s addition to nuts and nutritional yeast just makes this vegan parmesan irresistible. 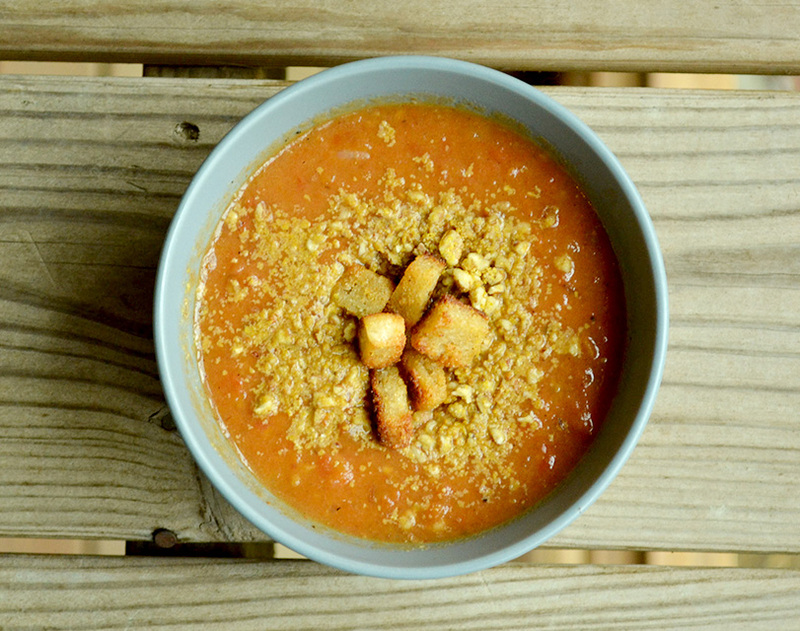 I found it especially delightful topping this tomato soup, by Oh She Glows. Oh, and the soup? Seriously amazing. So, make some Pecan Parmesan – because you know your Tomato soup is calling for it. Note – in order to help support the costs of blogging, my site occasionally contains affiliate links. When this happens – everything costs the same for you, but I get a little income as well. Thanks!